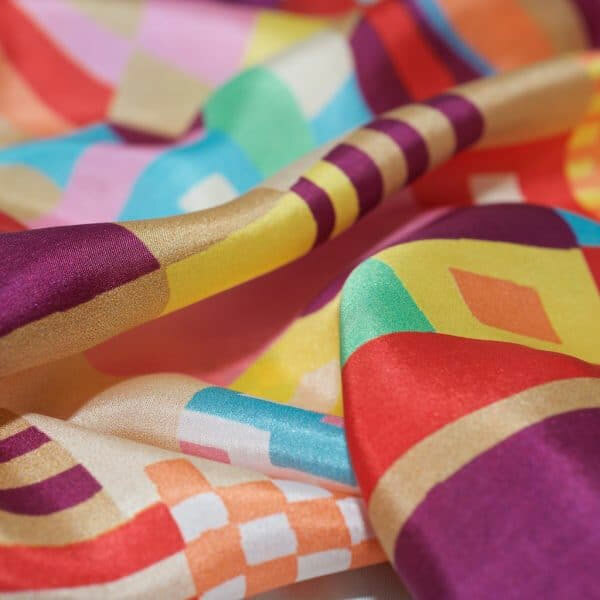 Geo pure silk scarf, a design by Collier Campbell based on one of their vintage designs reflective of the geometric patterns of the Bauhaus movement. 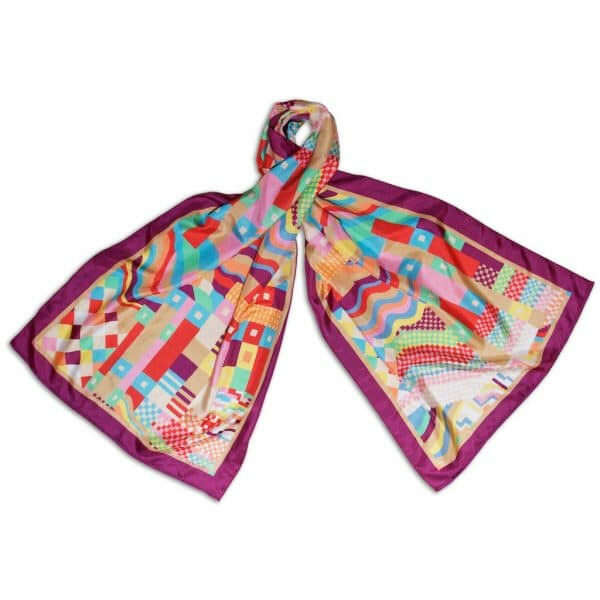 This beautifully light, soft gorgeous silk scarf is printed on fine silk in vibrant colours of plum, gold, pink, turquoise and red. The scarf, which has a soft sheen, is finished with a plum coloured border. Long and light, this silk scarf is delight to wear and brings both colour and style to any outfit.